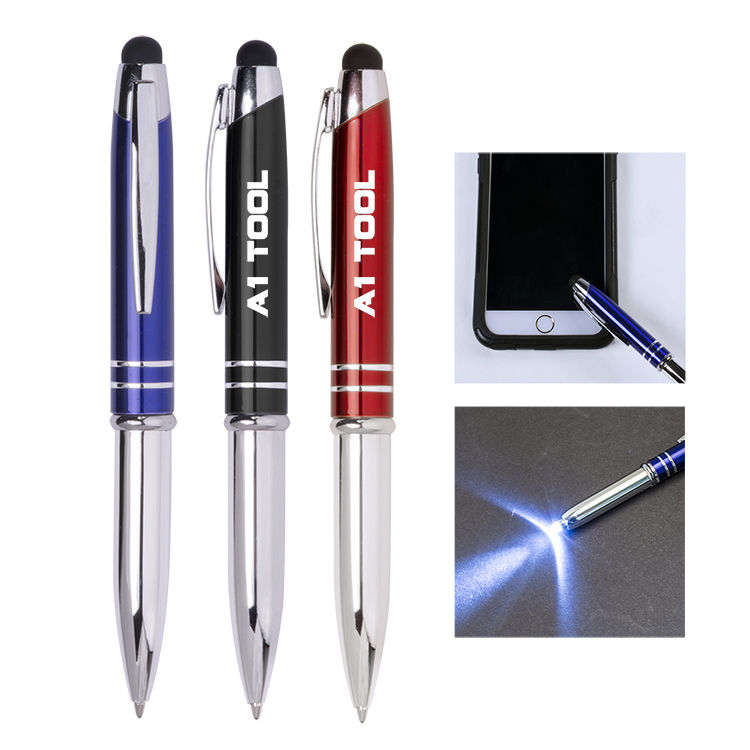 3-in-1 stylus metal ballpoint pen & LED flashlight. Get Personalized mercury pen for less here! Smooth writing logo pens ensure your logo is seen wherever they bring their pen. Custom Stylus Metal Pens Now. Price includes one color/one location imprint or one location Laser engraving. 2nd Color or 2nd Location: Add $0.20(g) ea. plus $45.00(g) set up.